When it comes to art, the Edinburgh Festival is a yo-yo. One year it makes an effort, the next it doesn’t. A chief reason for this inconsistency will be funding — it always is. But it is not funding alone, or even funding in the main, that holds back the visual arts in Edinburgh. More importantly, and less solvably, this is not a visual-arts town. It’s a literary town. An enlightened town. A rich town. But it is not a place where the visual arts have ever clamoured to exist. Glasgow, not Edinburgh, is the home of art in Scotland. 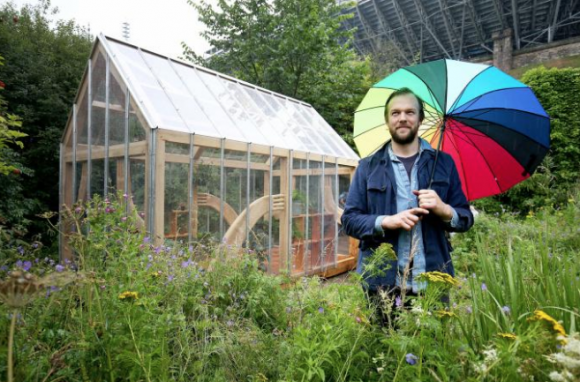 Thus the enormous annual opportunity to engage huge audiences provided by the Edinburgh International Festival is biennially squandered by the city’s galleries. You will have guessed already from my tone that this year the yo-yo is down again. That most optimistic of texts, the Art Festival Guide, reads as if it is packed with offerings. But only three of the four-score delights promised in it are worth the journey. The best is True to Life at the Scottish National Gallery of Modern Art, a busy investigation of “realist” painting in Britain in the 1920s and 1930s. It’s timely because both the auction houses and the scribes of art history have recently developed a fierce enthusiasm for the type of painting examined here. What we are watching is a switch in storylines. Until recently, the 20th century was understood as a century of progress. From cubism at the beginning to minimalism at the end, the centennial story of art that was believed most fervently was the story of modernism. 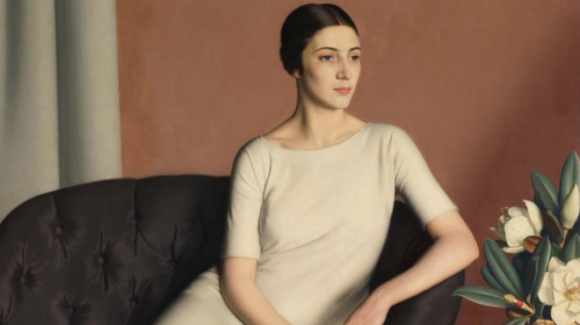 In contrast, the art that appeared to turn its back on modernist modes — the “realist art” examined here — was held to be regressive and ignorable. Not any more. Today, the anti-modernists have been forgiven for their cussedness. And no fewer than 58 of these pictorial Colonel Blimps have been gathered up for True to Life, where they form an anti-modernist brigade that keeps coming and coming. I have long been an admirer of Algernon Newton, the Canaletto of Camden, whose sunlit views of empty London streets have a spooky and timeless quality to them. In Newton’s art, the storm never arrives but is always brewing. And Meredith Frampton’s belated essays in neoclassicism also have about them the same sense of arrested time. There is something terribly British about Newton and Frampton’s unshakeable faith in the Queen’s English of perfectly observed detail. With so many artists crammed into the display, it is impossible to recognise any career paths. But by working on the principle that every artist has one good picture in them, the show remains consistently stimulating. As far as I know, Lancelot Myles Glasson never produced another image laced as strangely with art deco eroticism as The Young Rower from 1932. And John Luke can rarely have achieved such a perfect misfit of then and now as he does with his weird Judith beheading Holofernes, relocated to a 1920s bedsit. In a show that seeks cockily to rewrite art history, the flotsam is sprinkled generously with jewels. 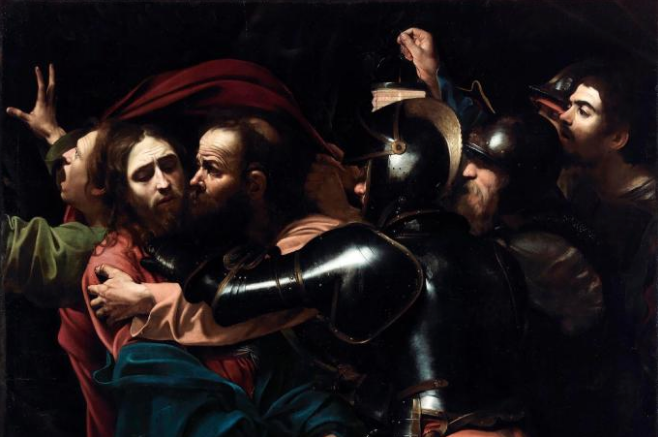 At the Scottish National Gallery, Beyond Caravaggio is a version of the exhibition that opened last autumn at the National Gallery in London, tracing the extraordinary influence of Caravaggio on his European followers. I breezed into it expecting a repeat experience. Instead, I was struck by an immediate sense of enlargement. The paintings looked bigger. Their presence was darker and more muscular. And even though there are fewer actual Caravaggios here than there were in the London version, it felt like a more powerful event. Why? The answer, alas, is the space in which it is set. In Edinburgh, the galleries of the Scottish Academy are lofty and airy. They give the Old Master art created in Caravaggio’s wake the room it needs to feel coiled, pent-up and dark. But in the Sainsbury Wing of the National Gallery in London, the galleries themselves are already coiled and pent-up, so anything you put in them seems to be stooping under a low doorway. It’s an unfortunate and intractable design issue. I don’t recall an occasion on which the point was more clearly made: London needs higher galleries. Another historical show that works, and which surprised me, was Bonnie Prince Charlie and the Jacobites, at the National Museum of Scotland. Consisting mainly of wall texts, interspersed with occasional objets d’art et d’histoire, it’s an event that tests your reading skills more actively than it tests your aesthetic senses. But so gripping and labyrinthine is the story it tells that I found myself poring over every comma. On the evidence presented here, there seems no doubt that Stuart monarchs ought still to be ruling Britain, not the imported House of Hanover. As a story of rightful succession to the British throne, this detailed examination of the Jacobite cause manages to feel strangely relevant to the post-Brexit United Kingdom in which we find ourselves. What the show does exceptionally well is to add big bookends to the Bonnie Prince Charlie myth. 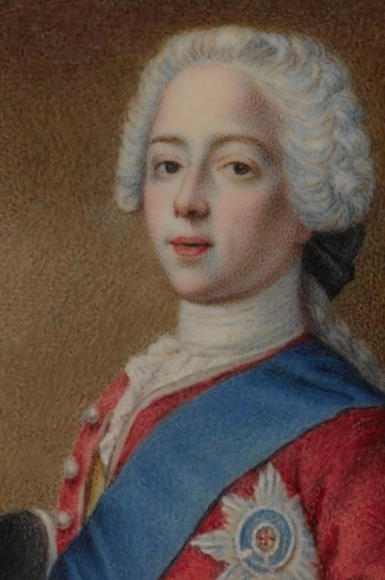 Indeed, the tartaned toreador of Culloden doesn’t appear until two-thirds of the way into the story, after we have fully and fascinatingly traced the origins and history of the Stuart kings and their Jacobite cause. The best artwork included here, Lely’s superbly observed portrait of James II when Duke of York, painted c1665, appears so early in the journey that it diminishes the significance of the Young Pretender and enlarges the importance of the formative years. What counts, what really matters, the heart of the story, the continuing issue, is the war between Protestantism and Catholicism. When Charlie does pop up, he manages initially to feel unsolid. Yes, there are dozens of portrayals of him, and plenty of anecdotes. But they appear never to penetrate to the inner man. On the lids of snuff boxes, in elegant miniatures and paintings on ivory, the Young Pretender remains a mythic presence, a badge of allegiance, the embodiment of other people’s hopes. The only time you get a genuine sense of him is when his days of bonniness are long gone, and he’s living in Rome, old and sour, beating his wives and wailing hopelessly at the world. For once, the surviving records describe a tangible presence. So, the past is treated decently in Edinburgh. Unfortunately, the present is not. In recent years, the best reason to attend the arts festival has been the series of special commissions dotted about the city. Usually set in adventurous locations, they confront you with unexpected sights. This year, the steam looks to have run out of the project. At the Johnston Terrace Wildlife Garden, located just below Edinburgh Castle, Bobby Niven has built a homemade greenhouse that he has filled with books and photos. It’s a desultory effort, and not even the spectacle of the artist himself making pizzas in an oven he also constructed on the site — the sight and smell that greeted me — gives this folly in the garden an artistic point. Over at the Trinity Apse, located in a narrow alley off the Royal Mile, Zoë Walker and Neil Bromwich confront us with a giant green dragon representing the forces of capitalism — according to the label on its side — which has been slain and fills the chapel with its final breath. I took it for a weak student gag, until I watched the videos playing at the back where you see the dragon being paraded through the streets of Edinburgh by a gang of medieval knights reciting passages of Karl Marx in the heroic manner favoured by Shakespeare’s Henry V: “All that is solid melts into air, all that is holy is profaned,” they announce, sounding mightily pertinent. 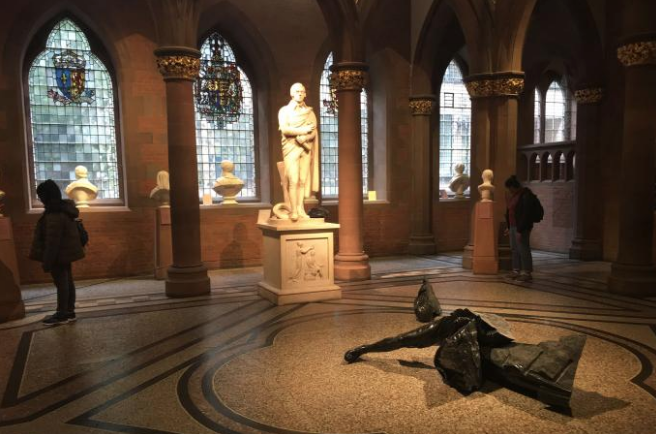 At the Scottish National Portrait Gallery, Douglas Gordon, the much-feted Turner prizewinner, has created a black marble Robbie Burns who lies smashed at the feet of a white marble Robbie Burns. The showy act of iconoclasm feels as if it is accusing Burns of Jekyll and Hydeism. But, as with so much of Gordon’s output, his actual artistic intent is impossible to pin down. By never saying anything specific, Gordon seems always to be saying a lot. It’s a trick that has surely had its day.